Christian's father was a Special Forces psychological warfare officer who decided that it was better to train Christian to deal with the world as it was instead of institutionalizing him. That this training included brutality of both the physical and emotional kind was something that didn't seem to bother dear old Dad too much. YMMV on this. There certainly is a fine line between nurturing and challenging a child. Stereotypically each gender tends to lean more strongly towards one pole. Unfortunately for Christian his mother decided that she couldn't deal with his issues, leaving him to be raised by his father, without any softer influences. Smartly, the film doesn't make Christian's father a stereotypical bad guy. He may or may not be misguided though. As mentioned Christian is more than an accountant. We learn this because Treasury Agent Ray King (J.K. Simmons) is searching for Christian. Christian not only helps decent farmers use legal tax shelters/loopholes but he also works across the world helping companies and criminal organizations strengthen their internal controls and/or discover internal theft. The Treasury Department would very much like to arrest Christian, whom they only know as The Accountant. 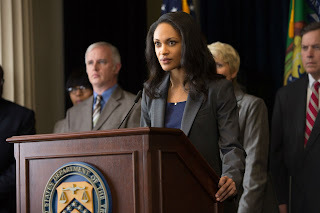 Ray strong arms a low level Treasury Analyst Marybeth Medina (Cynthia Addai-Robinson) into helping him discover the identity and location of The Accountant. Time is of the essence as Ray is retiring soon. In the meantime Christian has been hired by the company Living Robotics to perform a forensic audit. Living Robotics makes state of the art prosthetic limbs, among other things. Their products could help hundreds of thousands of people live happier lives, especially veterans. A company low level accountant Dana Cummings (Anna Kendrick) has found some discrepancies. The CEO (John Lithgow) doesn't think there's anything to Dana's findings but the company is on the verge of going public. The CEO has to know the truth. He's willing to pay Christian a sizable amount of money to find the truth. The truth is more complex though. Christian's investigations and conclusions attract the attention of an unnamed individual (Jon Bernthal) who is eager to shut down Christian's inquiries, permanently. As mentioned this movie freely takes influences from such movies including but not limited to Rain Man, A Beautiful Mind, Batman, and 300. 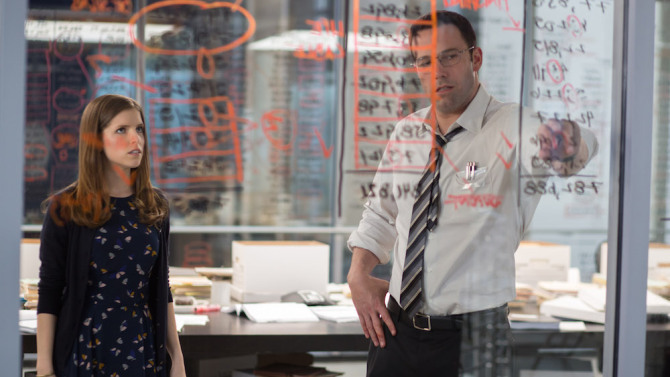 Affleck's performance is solid. He gets a lot of the details about autism correct. The movie resists doing the obvious with Affleck and Kendrick, which was a welcome departure from the usual storyline in such films. However I think the writer or director left things out. Some key character motives don't make sense. And there were probably too many flashbacks. One or two flashbacks would have been okay but by the third or fourth the director was doing everything but putting a big flashing red arrow pointing to a character saying "THIS IS MY STORY TWIST!!". I felt a little insulted by that. I think the director should have trusted the viewers a little more. It would have made the ending more enjoyable. Not everyone is as wide eyed and naive as the character played by Kendrick. There is some violence and implied violence. 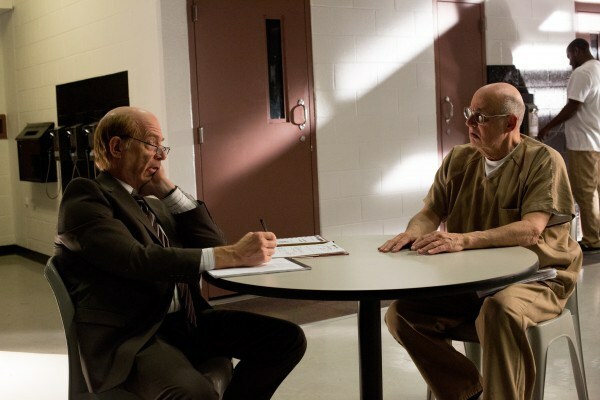 Jeffrey Tambor, Gregory Alan Williams, Jean Smart, Alison Wright and Andy Umberger all have small parts. All told though the movie was entertaining, smartly paced and well acted. It's not super memorable but it's not something you'll hate either. The film almost seamlessly combines action, financial mystery and PSA's about autism/OCD. Death is a mystery to us. Well depending on your religious or spiritual views maybe it isn't a mystery. But it's safe to say that in most societies there is some sort of ritual that takes place around death. There are only certain people who are permitted to handle the corpse. And there are certain things which must be done to a dead body before it can be properly buried or cremated. In our current Western society we have generally outsourced these responsibilities to professionals, namely doctors, coroners and funeral directors. Often times we don't really want to know what they do. We just want to be able to bury our loved ones. 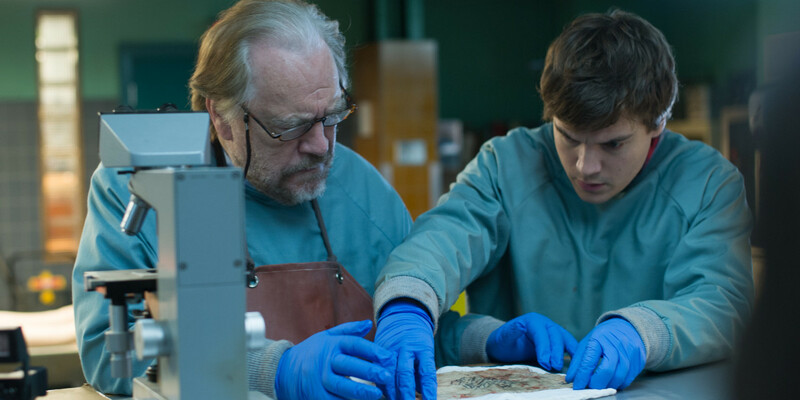 This movie breaks a taboo by taking us behind the screen to show us what an autopsy actually involves. That in and of itself is a horror. Maybe it's one you haven't had to deal with yet but eventually you will have to have such conversations. It's just part of life. But this is not just a grim piece of body horror. It's a very smart horror film that uses a limited cast and very small set to create a sense of foreboding and mystery that ratchets up from the introduction. In a New England small town the local sheriff Burke (Michael McElhatton-Roose Bolton from Game of Thrones) is investigating a very strange crime scene. An entire family has been killed. There's no sign of forced entry. If anything the dead people look like they were trying to get out of the house, rather than stop someone from getting inside the house. The sheriff and his officers discover a female corpse in a pit in the dirt basement. Strangely enough this corpse has no sign of violence. 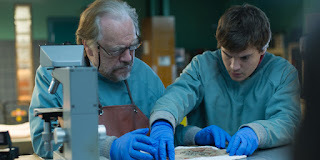 Sheriff Burke takes this female corpse or Jane Doe (Olwen Kelly) to the local coroners, father Tommy Tilden (Brian Cox) and son Austin Tilden (Emile Hirsch). Although it's late the Sheriff would consider it a personal favor if the Tildens could provide a cause of death by the morning. A multiple murder with no suspect and a body in the basement will cause the Sheriff no end of headaches with the media and with voters. And when Roose Bolton asks for something we know that wise men give him what he wants. I mean you don't want to wind up stabbed to death at a wedding do you? So Tommy Tilden is happy to oblige the sheriff. Austin Tilden is a bit peeved. It's Friday and he has plans to have all kinds of energetic fun with his girlfriend Emma (Ophelia Lovibond). But some orders from his imperious father and more importantly a sense of filial obligation end those plans. Alone in the morgue the two men prepare to carry out the autopsy. To say things get weird would be an understatement. The men discover that the woman seemingly suffered a number of very violent actions even though her body has no outside marks on it. This makes no sense. What also makes no sense is that the body is both much older and much younger than the physical evidence would indicate. At various times Austin is spooked enough to suggest that they call it a night. What they're seeing needs to be verified by other people. But his Dad is a man who believes in finishing what he started. That's how he was trained and he'll be damned if he won't train his son the same way. What makes the movie work, especially with only two actors on screen for long periods of time, is the strong acting and writing. Cox and Hirsch play well off of each other. You can buy the familial love and irritation between father and son. There's a small but important subplot about what parents give to children. There's a general sense of increasing unease in this movie. By the time that supposedly supernatural things start to occur the viewer can identify with Tommy's "There's a rational explanation for this!" worldview. The viewer will also wonder exactly what's real and what Tommy and Austin may be hallucinating. The director very skillfully uses well known gambits. This is a horror film for smart people. Its only failing was an attempt to tie classic horror events to modern day political concerns. That quibbles aside, you really should see this film if you are any sort of horror movie fan. 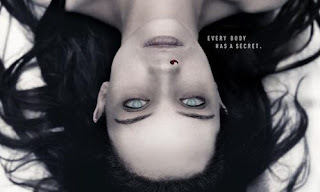 This is a film that will make you shiver and jump. But if you don't like such moods, this is certainly not a film for you.